With spring coming up, I do quite a bit of gardening. This can be rough on your hands. 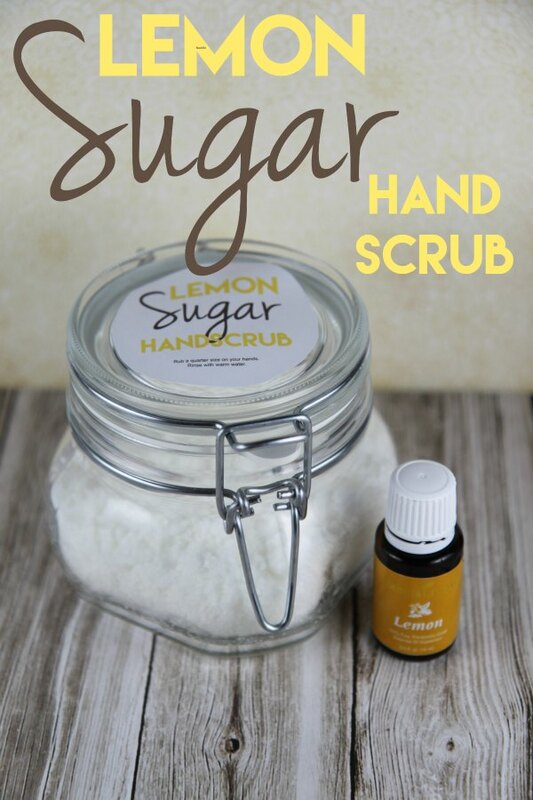 With this easy to make hand scrub, you can help defeat those rough areas on your hands and help to keep them soft. You will need just a few simple ingredients including sugar, Epsom salts, your favorite essential oil, and almond oil. I personally only use Young Living Essential Oils and you can read more about why over at this post on How to Get Started with Essential Oils or you can order directly from my Young Living Essential Oils page. For our recipe, we used Lemon Essential Oil but you can use your favorite essential oil variety – lavender, peppermint, grapefruit, lime…the possibilities are almost limitless. I was able to pick up my almond oil at Meijer but if you don’t want to search, you can buy some on Amazon for a decent price. 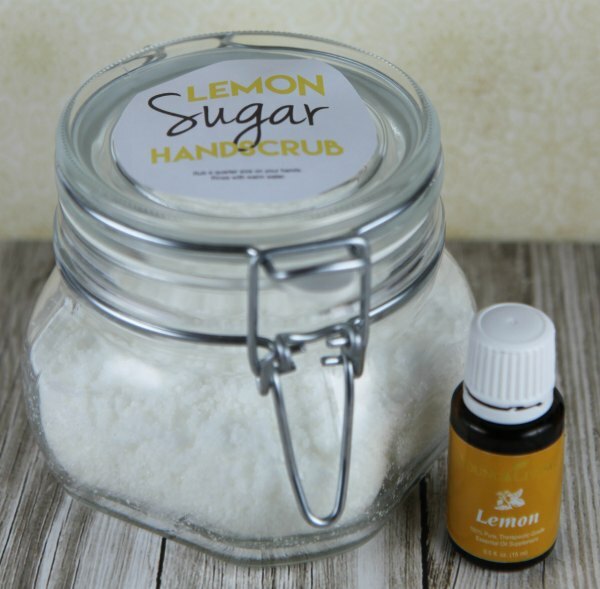 This Lemon Sugar Hand Scrub would also make a great gift. We have made up a graphic that you can print out on labels or on white paper to attach to your jar. Stir all the ingredients together until well mix. To use, wash your hands and then massage a teaspoon or two of the scrub all over your hands. Rinse with warm water. Pat hands dry. Love this post! I’m always looking for new ways to use oils. Thanks so much for sharing at #HomeMattersParty. Hope you’ll join us again. Sounds great! 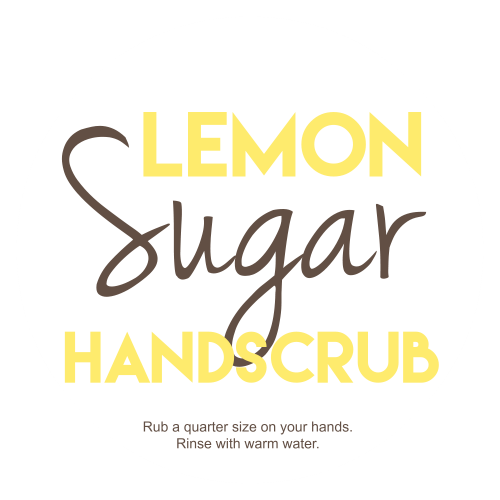 I live the fresh smell of lemon for hand scrubs. Hey, thanks so much for bringing this post over to the Weekend Blog Hop on My Flagstaff Home! I live in such a dry climate! My hands are always rough and it’s worse with gardening. Thanks so much for this. By the way, I’d love to invite you post on my new blog hop—the Weekend Blog Hop at My Flagstaff Home (www.myflagstaffhome.com). It begins on Thursday evenings and lasts all weekend, if you’re interested.